Taiwan constitution and other laws and policies protect religious freedom. After all Taiwan is a highly tolerant society and is greatly diversified in terms of religious faith. According to the census of 2005, 35% of the population is composed of Buddhists, 33% of Taoists (including local religion or Chinese folk religion), 3.9% of Christians, 18.7% of people who identify as not religious, and approximately 10% of adherents to religious movements of Taoist or Confucian origin (among them 3.5% adheres to Yiguandao). From the above census you will be able to know that Buddhism, Taoism and folk religions are the three main religion in Taiwan. Buddhism is orginated from India to China and brought by the Chinese immigrants to Taiwan in the 17th century. During the Japanese Occupation, the Japanese also brought in the Japanese Buddhism to Taiwan and become quite common then, but the Taiwanese did not abandoned the Chinese Buddhist practices. After the surrender of Japan, a numbers of mainland China monks fled to Taiwan alongside Chiang's military forces, and received preferential treatment by the new regime. During the period of martial law, Buddhist temples were urged to join the Buddhist Association of the ROC, the government sought to re-establish Chinese Buddhist practices not required of monks following Japanese Buddhist traditions. 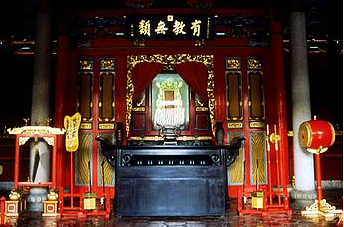 Since then the Taoism, Chinese Taditional Religion (Chinese Folk Religion) and Buddhism had blended together; while a few temples today are purely Buddhist, most Taiwanese continue worship a variety of Buddhist, Taoist, and folk deities in a single temple. Therefore, sometime you see reports show around 90% to 95% of Taiwanese are Buddhism. Now in Taiwan there are numbers of large Buddhist organisations are based in and operate form Taiwan throughout the world. Primary among these Dharma Drum Mountain, Buddha's Light International and Tzu Chi Foundation. Today, apart from Chinese Buddhism, other forms of Buddhism have also found recognition in Taiwan. Tibetan Buddhism and the Vipassana movement are a great example of this. Taosim is China's native religion and philosophy, it emphasizes living in harmony with the Tao (the meaning "way", "path" and "principle"), can also be found in Chinese philosophies and religions other than Taosim. Taoism drew its cosmological notions of Yin Yang (in today term should be Negative and Positive), it tell us about way of life and to keep live in harmony is to know and balance both Positive force and Negative force, you can't have all the Yin or all the Yang in life. The founder, Laozi, is said to have lived at least 2,400 years ago, although some historians doubt he existed. Laozi is believed to have written the Tao Te Ching, the most important Taoist text. Taoism in Taiwan is almost entirely entwined with folk religion. Taiwanese Taoism lacks a contemplative, ascetic and monastic tradition as northern China's Quanzhen Taoism (全真教). The leadership of Celestial Masters has its see on the island, and nowadays it is split into at least three lines competing to head the Taoist community. The interesting part is Taiwan politicians appear at Taoist temples during campaigns, using them for political gatherings. Despite this and the contention of sects for leadership, there is no overarching structure for authority over all Taoists in Taiwan. Chinese traditional or folk religion, also referred to as Shen (神， God), define the collection of grassroots ethnic religious and spiritual experience, disciplines, beliefs and practices of the Han Chinese. The god they worship are actually lived in tha past and made important contribution to society or legend, for example Kuan Kong (Guan Gong), he was a famous hero during the three Kingdoms period, because of his loyalty, guts and love for the people, immediately after his death people start to worship him. Matsu the sea goddess is a legend, she's said to have achieved a string on miracles before ascending to the havens at the age of 26. According to one well-known story while she still a teenager she saved her fisherman father and her brothers fro an ocean storm by slipping into a trance nd plucking them to safety. Confucianism, is an ethical and philosophical system, also described as a religion developed from the teachings of the Chinese philosopher Confucius (511-479 BCE). The teaching contains elements of moral, social and political thought. The goal of Confucianism is the perfect man, a virtuous man of great learning and good manners. In the Han Dynasty, Confucianism became the offical state ideology. Nonetheless, from the Han period onwards, most Chinese emperors have used a mix of Legalism and Confucianism as their ruling doctrine. But after the fall of Han Dynasty, the soteriological doctrines of Buddhism and Taoism to dominate intellectual life at that time. Confucianism revival again during the Tang dynasty, in the late Tand, Confucianism developed aspects on the model of Buddhism and Taoism and was reformulated as Ne0-Confucianism. The reinvigorated form was adopted as the basis of the imperial exams and core philosophy of the scholar official class in the Song Dynasty. in 1905, the abolition of the examination system marked the end of official Confucianism. In the early stage (1912) of the then Republic of China's government in Mainland China also try to abolish Confucianism, but later the KMT government revise the respect of Confucian, and made it as the national worship. In Mainland China since 1949 the PRC, never worship Confucianism and is illegal during the "cultural revelation", if found one who pay respect to Confucian will be punish by the law. Only until 90's Mainland China free the ban of religion believes confucianism comes back. You not only find Confucianism in Taiwan and China, but also Korean, Cietnam and Japan. 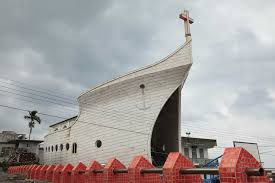 Christianity in Taiwan constitute 3.9% the population consider as minority status. In fact since 16th century along with the colonial activity from Spain and Netherland there was Christian missionary activity on Taiwan Inland. In the 17th century, with the introduction of Dutch rule in Taiwan in 1624, Protestantism was spread to the Taiwanee aborigines, Two year later, with the transition to the Spanish rule, the Catholic Church was introduced to the island. The Churches built by Missionaries from the island were mostly among the aborigine people. If you travel along the eastern part of Taiwan you will be able to see quite a numbers of Churches in Taitung. Islam in Taiwan is a slowly growing religion and represents about 0.3% of the population. Islam came to Taiwan in 1661 with Zheng Chen Gong during the defeat of Netherland Colonial's time, thereafter, when the Qing dynasty - General Shilang attack Taiwan also bring along with him Muslims from Mainland China, Fujian Province. The next group of Muslim were with Chiang's army in 1949. In the 90's there are thousands of Muslim from Indonesia became spouse of Taiwanese and some are domestic helpers came to Taiwan and didn't give up their religion as Muslim this contribute to the growth of Muslim in Taiwan. As of June 2013, there are seven mosques throughout Taiwan, with the most notabl being the Taipei Grand Mosque, the oldest and largest mosque in Taiwan, one still in under construction.